This is idea for an alternative initiative for 5th Edition and grew out of Mike Mearls' Greyhawk Initiative. For a previous attempt, see here. 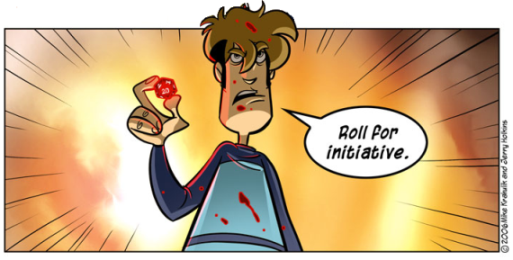 You roll initiative every round. If you are casting a spell this round, roll a d6 + Dex Mod. If you are making a weapon attack this round, roll 1d10 + Dex Mod. If you have levels in the Fighter class roll 1d12 + Dex or Str Mod. If you have levels in Rogue you add your Int Mod and your Dex Mod to the roll. If you are making a ranged attack this round you have Advantage on Initiative, so you roll 2 of the appropriate dice and take the highest. If you are moving this round you have Disadvantage on Initiative, so you roll 2 of the appropriate dice and take the lowest. For simplicity, the DM can roll d8+ Number of enemies.